HippoHoptamus Double IPA by BCT Brewing Project. Solid, slightly girthy, respectable, drinkable. Just a Double IPA comfortably nestled in the middle range of hop bitterness/flavors/aromas and ABV% for the the style, with a clean non-invasively complex malt backbone. To add interest and keep it always new, every batch will feature a different hop variety both in the flavor and aroma additions. So you might be enjoying HippoHoptamus Simcoe one month, and a HippoHoptamus Bravo the next month. Every batch will target 8.5% ABV, IBUs should be between 70 and 80 depending on the flavor/aroma hop variety, and the malt profile will stay clean and crisp every time. Do you like a good beer well brewed that offers something new every time you have it? Because that's the simple inspiration for HippoHoptamus. This isn't going to be a fancy beer, it won't be an over the top hop monster, and it won't have brain cell wasting levels of alcohol. But it will be a great DIPA that's a little different every time it's brewed. 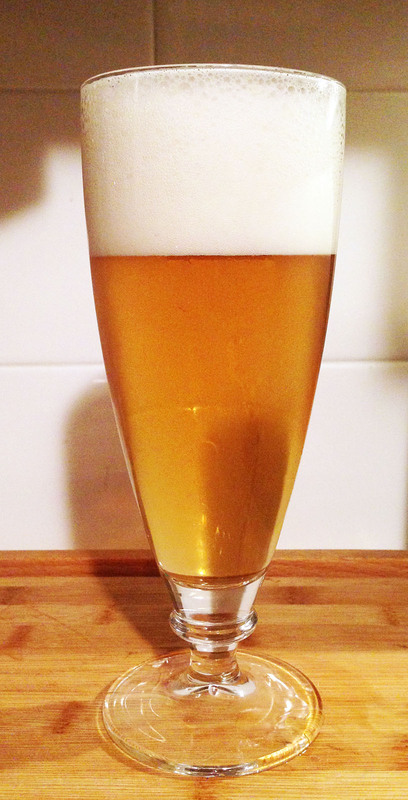 The base beer will always have the same cleanly complex malt profile and invigorating bitterness. But we don't want you to get bored with it, so the brew day late hop additions, and the dry hops added post fermentation will be changed up. You can enjoy it now, and next time enjoy it anew all over again. So that last sentence may be redundant and repetitive - but HippoHoptamus never will be.